Home > News > Uncategorized > What Is Credit Card Skimming and How Can You Avoid Being the Next Victim? What Is Credit Card Skimming and How Can You Avoid Being the Next Victim? Are you concerned about losing your credit account data to hackers who may use your information to make purchases and cause havoc to your personal finances? Your concerns are actually very common and ones that you shouldn’t dismiss. 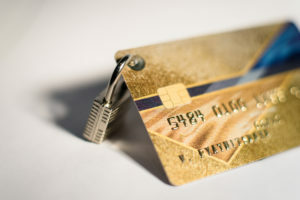 In addition to online security threats, thieves often use skimming devices to get credit card data and debit card pin codes without anyone being any wiser. 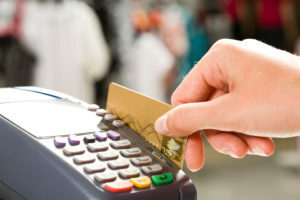 In essence, a credit card skimmer is a very small device used to read credit card data. For an ATM machine, a thief may capture video of an individual typing in an ATM code by using a small hidden camera as well. Although you might think that you would notice a skimmer on an ATM machine, gas station, self-serve kiosk, or store, you can see for yourself that they often are almost undetectable unless you really know what you’re looking at. We would like to point you in the direction of two different resources that offer visual representations of what skimmers look like. When you look at this page and then this page, you can see that skimming devices aren’t very noticeable to the naked eye, which should be disconcerting for anyone who uses a credit card or a merchant who processes credit cards as a form of payment. The consequences of having your credit card’s magnetic strip read and data captured are extensive. Thieves can clone your credit card or use your information to set up online purchases. They can also use the information to access additional parts of your identity. Many times, it takes a while for victims to find out that they have had their identities stolen. They’ll usually find out at the end of the month or when they receive overdrawn notices by mail or email. By the time they do find out, the thieves could have moved on, making it significantly difficult to find justice. For merchants who have had customers that have had their identities stolen by this method, it could cause a loss of business and bad overall press. How Can Consumers and Merchants Defend Against Credit Card Skimming? Know Where Skimmers Are Most Likely to Be Installed: These include self-serve kiosks, gas station payment terminals, bars, and restaurants. You should know what a skimming device looks like by reviewing the two links listed above. Check the ATM before You Use It: Look for miniature cameras and anything that looks suspicious – especially if the ATM is not part of the bank. Train Employees on Skimming Devices: Make sure they understand how skimming devices work and the consequences of stealing someone’s identity. Comply with All Credit Card Security Practices and Standards: Offer payment process services that keep consumers’ information safer and allows the consumer to hold onto his or her card. Want to learn more about international credit card processing and other secure merchant services that enable merchants to offer better, more secure payment options to their customers? Contact us today!